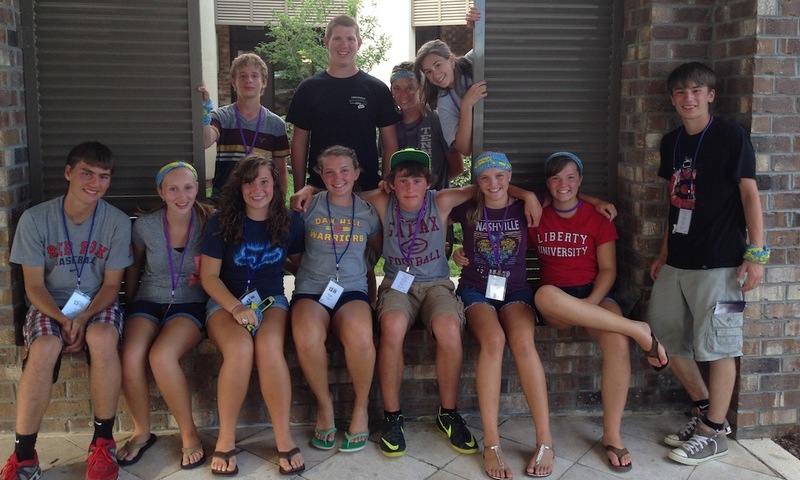 Last week, we took a group of our Cornerstone youth to the Wayfarer Beach Camp in Myrtle Beach. We really didn’t know what to expect, but I’m so glad we decided to go. Over the past 17 years, I have been to numerous youth camps, conferences, mission trips and concerts, but Wayfarer was one of the best events we have ever participated in. It was truly a life-changing event for our youth, and we are already planning on taking a much larger group next year. It was the first time that two of my children went as part of the youth, so I had to work hard throughout the week not to embarrass them 🙂 Here is what made this such a successful week for our ministry. Wayfarer Camp is built around the ministry philosophy of the group 3DM. They strongly believe in building a discipleship culture in the local church. I have participated in workshops by 3DM, and I have read many of the missional and discipleship books by Mike Breen of 3DM. We had numerous times to meet together with our students to unpack and discuss what they were learning. Throughout the week we asked our youth the questions”What is God saying?” and “What are you going to do about it?” The camp leaders said that their goal was for students to have a spiritual experience based not in a room, but with a group. The large group teaching flowed naturally into our group times, and I appreciate the camp trusting the local church leaders to disciple and lead their students. Our youth had many spiritual breakthroughs during the week and I am continually amazed to see God at work. Dave Rhodes and Chris Brooks were the two lead speakers for the week. Both did an incredible job of teaching and leading students through our theme of faith, hope, and love. So many youth speakers fall into the trap of guilt and manipulation, and I loved the fact that this camp focused on God’s redemptive power. The students learned that their obedience flows out of their identity in Christ, and they were deeply moved by what they learned from Scripture throughout the week. By having two different teachers, the message was not tied to a personality. Both speakers also engaged and talked with the students instead of preaching at the students. You could tell both had a huge heart for ministry and discipleship. They also provided several great experiential responses to the messages, so that the students could participate and learn through different learning styles. David Walker led worship for the week of camp and did a phenomenal job. Seeing almost 400 youth together praising God is an awe-inspiring. From the first day, he engaged the students. He shared from Scripture, he shared his heart for worship, and he demonstrated how to listen to and respond to the Holy Spirit during worship. Our students kept talking about how much they enjoyed the worship times. They liked the authenticity of the the worship and they liked that it didn’t feel like a performance. The music was loud and powerful, and the students responded with passion. One of the things that made us consider this camp was their emphasis on serving. While there, we were able to participate in two service projects. We worked with Barefoot Church painting, landscaping, and cleaning up, and then we cooked dinner for a local soup kitchen. A huge part of our mission at Cornerstone is engaging our culture, and this camp reinforced what we have been teaching. I love seeing students serve others, and it helps them realize that camp is about much more than fun and games. Each day, the Wayfarer team poured into training our youth leaders. We were blessed to be able to take Chris and Brandy with us, and Jennifer did a great job leading the trip for us. For me, it was a great week of getting to know our students better. I have not been as involved with youth ministry over the past couple of years, but this week was refreshing on so many levels. I enjoyed getting to know the other youth pastors, and it was great hearing stories of how God was moving in the lives of students throughout the week. Hey Mike! We were there too! My name is Monica Fulbright and my husband and I are the youth group directors at Discovery Church. This was our second year at Wayfarer and it was better than the first! Both years were incredible and we plan to go back again next Summer. I wanted to say “hi” and also to ask if I could share your blog post with my youth parents? You nailed the description of what Wayfarer was all about. Thanks Mike. God Bless you and your group! Please feel free to share! We had a great time as well.